In the summer of 1966 a green liveried 'Peak' class diesel locomotive has taken the centre lines at Tunnel Junction on its way to Worcester Shrub Hill with an inter-regional express. There are plenty of wagons and other rolling stock in the marshalling yard and a GWR type water tower still in-situ on the right. Photograph taken by Andrew Smith. 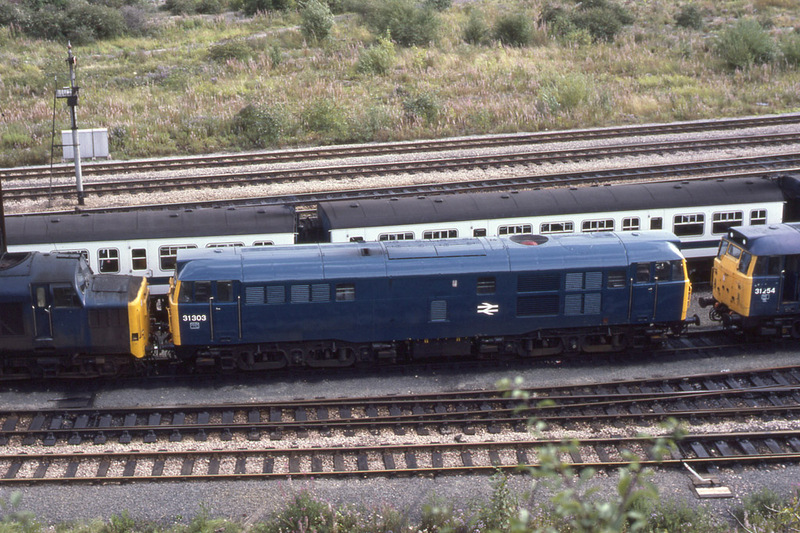 The same view but this time showing Class 31 No.31303 with No.31254 on the right and a class 37 on the left. Behind is a Class 116 diesel multiple unit. This is July 1978. This view that was taken in July 1975 is now obscured by trees. You will have to guess the locomotive numbers as I do not have a record of them. 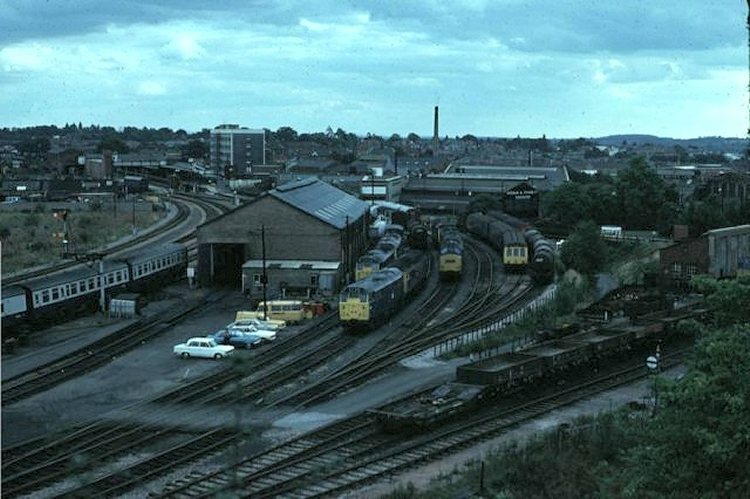 However, top left is Worcester Shrub Hill station with a class 08 diesel shunter in one of the centre roads. 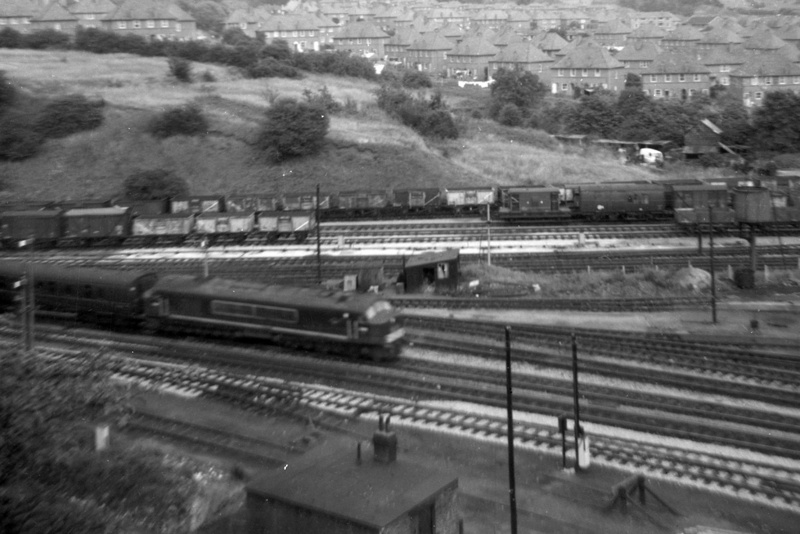 There is a diesel multiple unit on the left of the photograph behind which was the repair works. The 'new' building with the single line into it was the diesel shed (now demolished). There are a good number of locomotives on view including an 08 shunter, three Class 31's and two Class 37's, a Class 47, a class 25 and a Class 116 diesel multiple unit. To the right of the picture is the site of the old 'washout' shed and the 'path' just to the left was formerly a siding down to the gasworks. A close up view of No.170503 as seen in the photograph above. 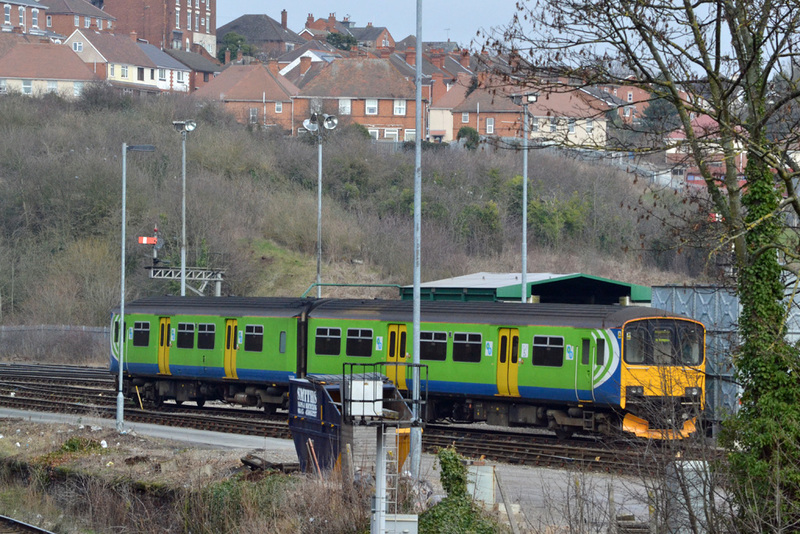 Class 150 diesel multiple unit No.150109 has been seen in Worcestershire since it was built and there are many photographs of it on this site. It can be seen in 'Centro' livery in 1992 as both a two-car and as a three-car set including car No.57220. It soon reverted back to its original formation before again being re-formed as a three-car set utilising car No.57202 using set No.150009. 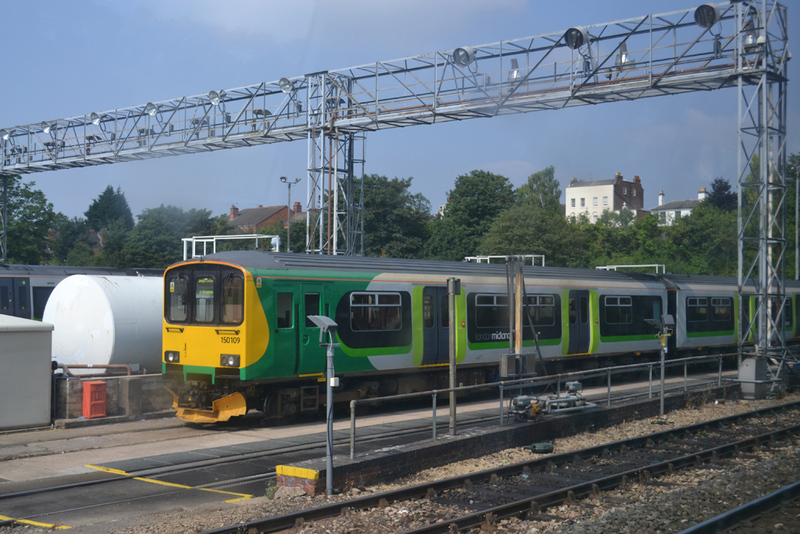 This set was repainted by Central Trains and subsequently moved to the London Midland franchise in November 2007. 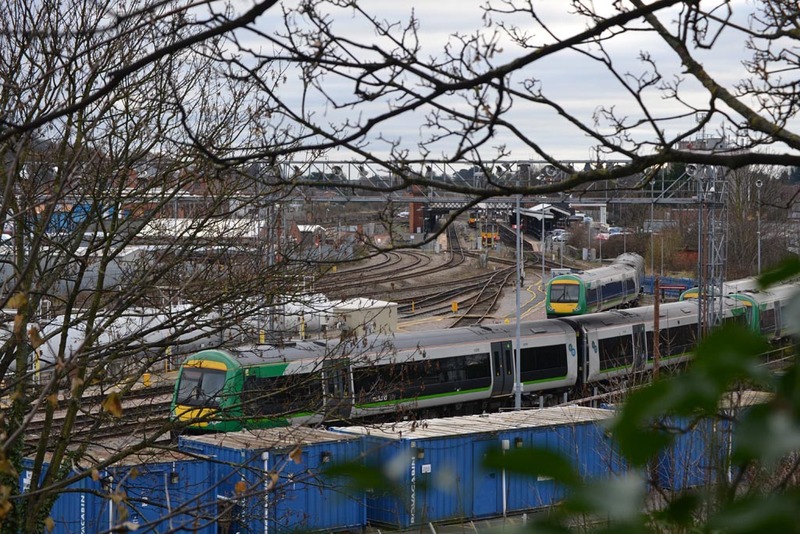 London Midland removed the Central Trains logos. 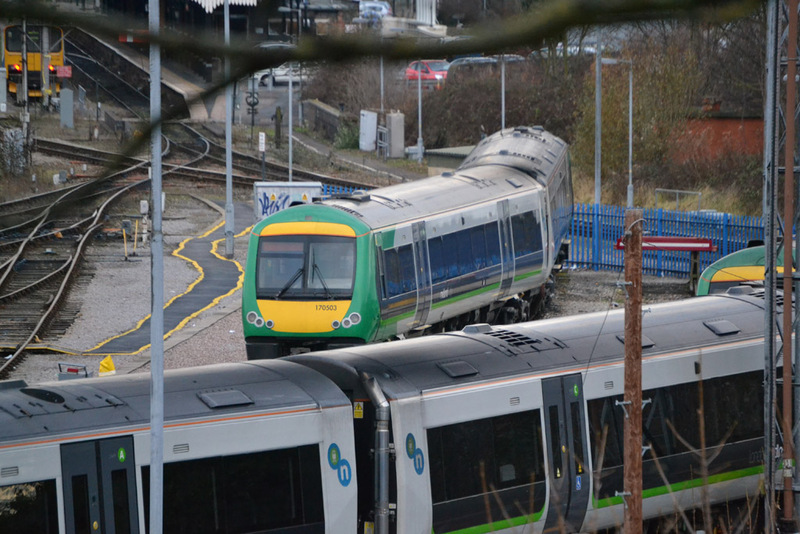 In 2012, after delivery of the class 172 units most of the class 150s were transferred to First Great Western but No.150109 again reverted to its original formation and was retained by London Midland and repainted into the house colours of that company. Andrew Smith photographed No.150109 on Worcester Depot on Sunday 12th February 2012 and from the window of a passing train took a photograph of it at Worcester on Monday 26th August 2013.